While hardwood flooring continues to be an incredibly popular and economic option for homeowners throughout North America, many people are unaware of where exactly their hardwood came from and who has produced it. Enter China, the global superpower that has been transforming the global timber trade for the last decade by importing more wood every year than any other country in history and quadrupling the number of wood products it ships around the globe. Each day, ships come and go at the Yangtze River port, which, in the last decade or so, has become one of the world’s busiest clearinghouses for logs from every corner of the globe, including Southeast Asia, the Amazon, Russia, and the Congo. Many North American homeowners are unaware that the majority of their wood products, including coffee tables, bedroom dressers, and your hardwood floors, are stamped with what has arguable become the most successful label of our time: Made in China. No country is a larger consumer of these wood products than Americans, who are now buying 10 times more than they were a decade ago. However, global demand for these products is providing additional fuel for the destructive logging practices that threaten livelihoods and divide fragile nations all over the world. The unprecedented economic ascent of the Chinese nation over the last three decades has driven its’ hunger to reach outside of its’ own borders to obtain resources that will allow it to continue to feed voracious appetites for wood, cashmere, oil, and many other wood-based products. Unfortunately, China is now roaming the planet to import additional timber resources because they have largely outstripped the carrying capacity of their own land. This has led to many real human and natural consequences within the Chinese borders and beyond. Children in the small village of Sandaun in the tiny country of Papua New Guinea have been left without proper footwear and are educated in schools that lack working plumbing. The nation of China has managed to stretch its’ influence all the way to this small island nation, despite the fact that nearly 3,000 miles of unbroken Pacific Ocean separates the southern coast of China from the shores of Papua New Guinea. The trail of China’s logging exploits can be followed to a native village in a specific patch of Papua New Guinea forest. That once thriving forest has become a torn logging landscape that has left tribal leaders unsure of where to hunt next and fearful for the future survival of their clan. Less than a decade ago, the timber industry in Papua New Guinea was nearly non-existent. Then a superpower thousands of miles began to take interest in the tiny nation. In the recent past, the island’s local timber industry has seen a significant boom, as they now send four out of every five logs produced to China. This past year, Papua New Guinea passed several other large timber producers to become China’s largest supplier of tropical logs. However, this surge has largely been backed by a timber industry that has unequaled power in local politics and business in the area. This has led to the allowance of what are internationally considered to be illegal and unsustainable logging practices. This is mainly allowed to go on because of the extremely high demand for the products. It is up to the consumer to understand where his or her hardwood is coming from and make sure that it was produced in a sustainable, ethical manner. 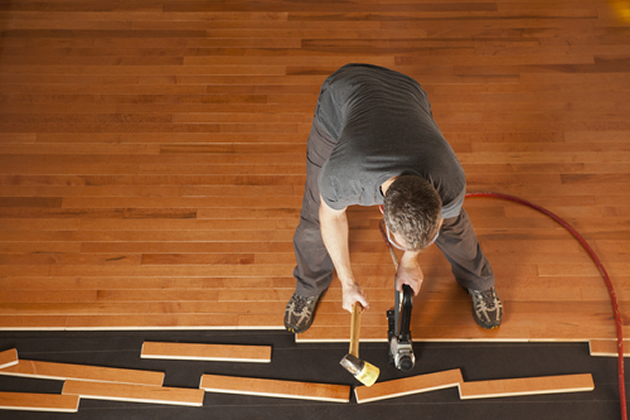 Take the time to learn where your hardwood floors are really coming from today!